All kids will watch the safety video before entering the arenas. 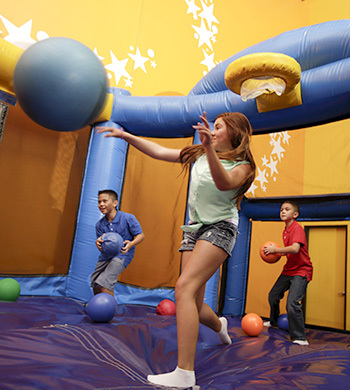 Kids will rotate every 35 minutes between arenas to maintain fun and keep the inflatables fresh and exciting! Children must be a minimum of 34" to play on inflatables.